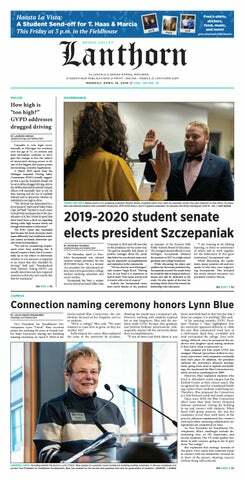 Intrusive, awkward questions are what fuel a lot of comedy shows and are a frequent source of inspiration for Grand Valley State University’s improvisation comedy group, Subject to Change. The student organization hosted their first official comedy show of the school year on Friday. Called "More and Merrier," the event showcased performing improvisational skits based on audience members’ answers to questions like these. The group began with the belief that GVSU was in dire need of more student entertainment and has since spent the last three years trying to provide students with comic relief. The organization is constantly at work to evolve their group and provide valuable entertainment on campus. More and Merrier had a turnout of about 50 attendees and was free to attend. “We just want to bring happiness everywhere we go,” said Liam Kelley, who joined Subject to Change last year. Subject to Change is holding events around exam time for students to blow off some steam amidst the stress. The group aims to be an outlet for students to escape from academics and relax for a few hours. The student-run group held auditions earlier this semester to get more students involved and to expand the group's reach on campus. In addition to on-campus performances, Subject to Change has also performed at Laughfest and in Traverse City, Michigan. “We are constantly testing new games and show ideas in our practices to make sure our performances are continually evolving for our audiences,” Van Alstyne said. The group also hosts seminars and improv jams on campus for anyone to come practice their improv skills. Subject to Change will host another show on Dec. 12 at 7 p.m. in the Cook-DeWitt Center.